When you think of high-quality cameras, the name Canon should come to mind. Canon is officially known as Canon Inc. in its home nation of Japan. Canon has specialized in cameras, camcorders, and printers for more than half a century. First founded in 1937 as an optical instruments company, Canon got its start in vision and images. Today, Canon combines the latest in digital and computer technology. This combination offers photographers incredible cameras that perform in any setting. Canon has evolved from a Leica copycat and Nikon partner into its own iconic brand. The Canon brand is now preferred by photographers around the world. One of the company’s early photo milestones occurred when it released the world’s first movie camera in 1959. Recently, Canon is progressing further with incredible innovations in the image-capturing world. When you shop the Canon website, you’ll find the company’s storied line of cameras and lenses. You’ll also find accessories like batteries and cables. Plus, find special Canon-specific photo printers and scanners. Perhaps the most interesting and innovative of all Canon offerings is the online course selection. Shoppers can do more than buy products. They can also improve their technique and learn how to capture even better images. Use the Canon Online Learning to learn more. Find courses like surf photography or natural light and angles. Browse the Canon online store and discover what is taught by pros in the industry. Besides snapping photos, you’ll grow through your connection to Canon. 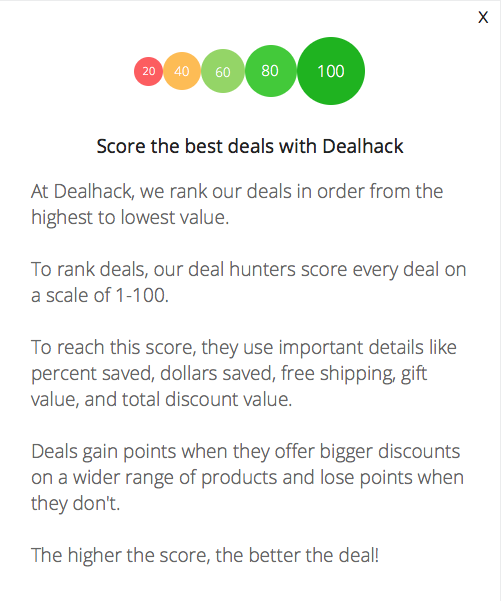 Our main goal here at Dealhack headquarters is to help online shoppers pay less. We do this by scouring the web for the freshest coupon codes and online offers for your favorite advertisers. You can find all the latest Canon coupon codes and special offers from this page. If one of our coupons has a code attached, complete your online shopping and apply the code at checkout. Some offers will just redirect you to the Canon page with the discount applied. Whatever the case, we want you to pay less for your order. If it’s quality photography you love, you’re sure to adore the Canon social media sites. Each of the company’s online presences features gorgeous photographs. These are shot either by its team of photography instructors or customers who use the company’s cameras. You can see the best of the best when it comes to Canon images on Instagram. It is the perfect social media site for image-heavy posts. There, you can browse photos shot by other Instagram users on Canon cameras and learn about upcoming classes available online. Over at Facebook, the Canon page shares upcoming in-store workshops throughout the United States. You can also find monthly fan photo contests and users’ photos. If a sale is happening, Facebook is where you’ll learn about it first. Check out the Canon USA Twitter account. You’ll see the company share photography articles along with retweets of customer photos. Do you have a question or two for Canon experts? The best way to find a quick answer is to head directly to the canon help center online. Find representatives that have already listed a wide selection of answers to help you. Do you have a question about a driver for a new printer? Maybe you need or a quick shipping answer? You can most likely find it already answered in the help center. You can also try the tech support page for more specific inquiries. There, you’ll also find PDF copies of every Canon product manual. Would you prefer to reach out directly to a representative for assistance? Go ahead and give customer service a call at 1-800-652-2666 in the U.S. between 8AM and 12AM (EST) any day of the week. Are you ready to shop? Grab the freshest Canon coupon and save on your order today. Is it a sale you’re looking for? Canon doesn’t keep its discounts secret. You can find out about ongoing promotions right on the website’s home page. Canon offers discounts like dollars off certain products, or deals on products that are no longer in production. Visit the designated sale section of the Canon website to discover final sale prices. This section is always updated to reflect the latest discounts too. Did you find a discount you like? All you need is to add the promo code during checkout. Most Canon discounts are automatically applied when you shop. Keep in mind that all Canon promotions are single-use only. This means that promo codes can only be used once. What is Today’s Best Canon Promo Code? The best Canon promo code right now is APR19CD. This code is for '20% off hdAlbum EZ Photo Books'. Copy it and enter it on the Canon checkout page to use it. Currently, the only place Canon ships online orders is to the United States. This includes Hawaii and Alaska. All international locations, including the U.S. Virgin Islands and Puerto Rico, are unable to receive deliveries. Fortunately, if you do live in the U.S. you’ll receive notification that your order has shipped quickly, typically within the same day you place your order. Standard shipping is the most popular option for customers, as orders arrive within three to seven days for the lowest price. You can choose to pay an additional fee to upgrade to Express shipping (two business days) or Expedited (the next business day). No matter which you choose, Canon orders only ship Monday through Friday. Every shipping option comes with a fee unless you can use a free shipping coupon (when offered). Do you need to send whatever you ordered back to Canon? Perhaps a product isn’t quite what you’d hoped, or there’s a problem with its arrival state? You can make an easy return to the Canon Online Store. All you need to do is keep the product or products in their original packaging and send the item and any included accessories back within 14 days. Once your order arrives back at the Canon warehouse, you’ll receive a full refund, minus any shipping fees paid. Only if your item is defective will you receive a full shipping refund. If you miss the 14-day window, your return won’t be accepted and will be sent back to you if shipped to Canon.